Wisconsin winters are long and cold, keeping your fireplace working overtime to keep you and your family warm. Spring and summer are the perfect seasons to have your Wisconsin chimney inspected, cleaned, and repaired if necessary. One common problem Wisconsin homeowners encounter is a smoking fireplace. 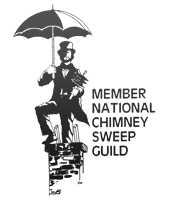 The highly trained chimney sweeps at Wisconsin Chimney Technicians provide superior smoking fireplace chimney inspections, test to see where the smoke is coming from and recommend an effective solution. Smoking fireplaces can be caused by several factors. Poor ventilation and a dirty or blocked chimney may be at fault. The chimney itself may have a crack or leak in it causing smoke to ventilate into your home. This smoke poses an obvious danger to your family as soot and carbon monoxide buildup are hazardous. Smoke can also damage and stain your walls and furniture, resulting in costly repairs and replacements. The highly skilled chimney experts at Wisconsin Chimney Technicians start our smoking fireplace inspection by fogging the fireplace above and below the damper to inspect for any leaks. We fog the furnace flue to make sure it is sealed properly. Testing your chimney with the furnace running and while calling for hot water helps determine if this additional ventilation is straining your system and pushing smoke into your home. Opening the basement door and running the chimney is performed to check if pressure differential is the culprit. The final step in our inspection is a video scan of your fireplace for flue gaps, cracks, or any other areas in need attention. Wisconsin Chimney Technicians has over 30 years of experience repairing and cleaning chimneys in southeastern Wisconsin. 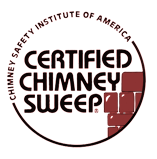 All of our Wisconsin chimney technicians are CSIA certified and receive ongoing education and training. Our excellent customer service track record has won multiple customer service awards. Wisconsin Chimney Technicians Inc. is your #1 choice for southeastern Wisconsin chimney repair and cleaning. Contact the Milwaukee smoking fireplace inspection specialists at Wisconsin Chimney Technicians for comprehensive and effective chimney inspection services today.